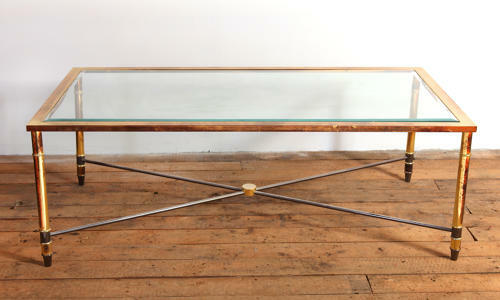 Glass and Brass Coffee Table. Dating from the late 1970s. This is a good sized example with Antiqued Brass frame and supports joined by X frame cross stretcher, holding a finely bevelled clear Glass top. 130cm x 50cm.